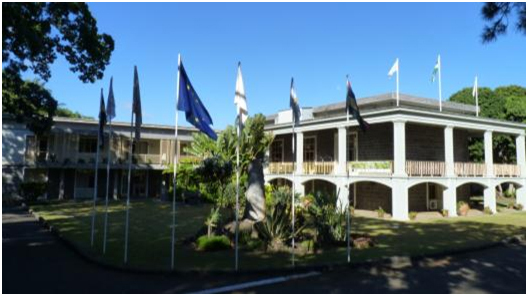 The project launching workshop of WIKWIO was held for five days from 20th January to 24th January 2014 in Réduit, Mauritius, at MCIA/MSIRI Research Station. This launching workshop brought together partner teams of the project (namely CIRAD , MCIA /MSIRI , FOFIFA CNDRS and IFP ), associates (CCARDESA , the representative to ASARECA could not participate), invited people from Tanzania, Swaziland, Zimbabwe and South Africa, and actors from Mauritius and Rodrigues islands such as sugarcane agronomists, representatives of small farmers, weed scientists,extension service providers, botanists, teachers from the University. 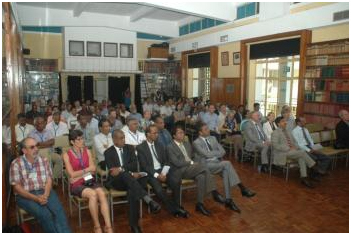 Several personalities were invited to attend the Opening ceremony such as representatives from the Delegation of the European Union in the Republic of Mauritius, COI , IUCN , SADC . The workshop was introduced by Honourable Satya Veyash Faugoo, Minister of Agro Industry and Food Security, Attorney General, Dr Salem Saumtally, Director of MSIRI and Dr. Thomas Le Bourgeois, project leader from CIRAD. 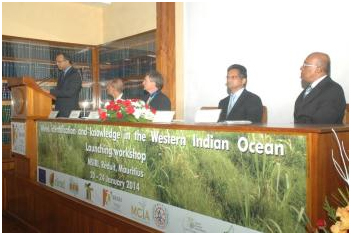 Click here to download report of Wikwio Launching workshop, Mauritius.